• Rates quoted are in Indonesian Rupiah. • Rate is per room. • Rates are included taxes and service charge. • The maximum number of guests per room is 2 adults and per private villa 4 adults plus two children. • Should you arrive at the hotel prior to the normal check-in time, you are advised to approach the Hotel's Reception for assistance in storing your luggage until check-in is available. If arriving early, you are also advised to consider making a reservation for the evening prior to your arrival. • Please check with the Hotel's Front Desk at least 24 hours prior to your departure on availability of late check-out. • The Hotel accepts Visa and Mastercard. Villa Bau Nyale is a 12 minutes walk from the beach away. 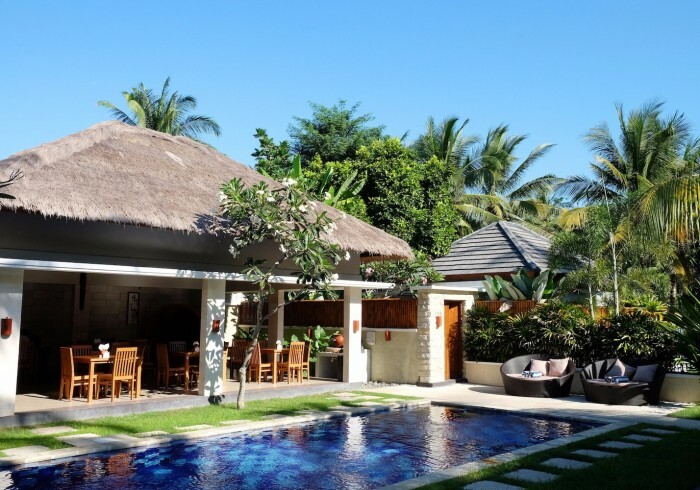 Located in the Kuta area in Lombok, Villa Bau Nyale offers a cosy and homey stay with an outdoor pool and free WiFi access in the public areas of the property. It takes about a 10-minute stroll from the property to the Kuta Beach in Lombok, and getting to Lombok Praya International Airport will take 30 minutes by car. Rooms at Villa Bau Nyale are all air-conditioned and each is fitted with a seating area, flat screen TV. and a private bathroom with outdoor shower facility. Daily housekeeping is offered at this property, whilst other services like airport transfer, car hire, shuttle service, laundry, and bike rental are available with extra charges. As for a dining option, the on-site Villa Bau Nyale Restaurant serves an array of Indonesian and western dishes. 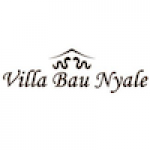 A Spa and Wellness Center is available as well at Villa Bau Nyale.